Blogging is one of the cheapest and most effective tools for small businesses owners to utilize to grow their business. 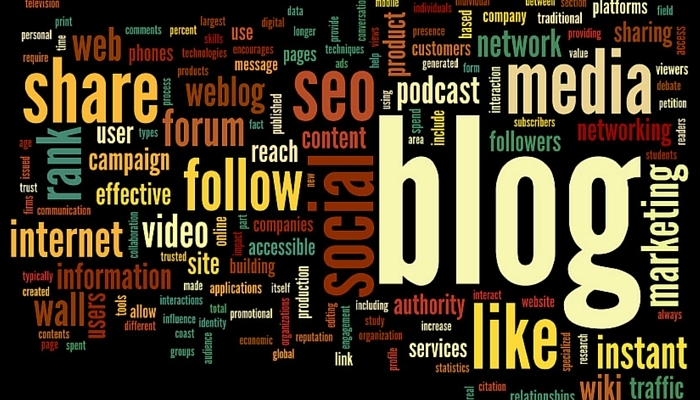 Prior to their introduction into the world of small business, blogs were thought of as a millennial pastime to better share their lives with the world, and that’s still the case – but businesses are quickly learning that business blogs can be their number one tool for traffic and lead generation, as well as an effective engagement strategy. Because it was originally a hobby popularized by the younger generation, there was a misconception among business owners that anyone can blog. Hell, if a 12 year old can create a successful blog, shouldn’t an Internet expert at a company have no problem at all crafting one? The answer is that business blogging isn’t as simple as writing about your lunch and how cute this girl in class is. You have to think about more complex information, SEO strategies, how to market your content and the audience you’re looking for. If you’re a beginning blog writer, all of this might sound foreign to you, and that’s okay. You have to start somewhere, right? Don’t fret. While writing a great piece of content for a business blog isn’t something that can be put on the same level as a personal blog post, it’s also not as complicated as writing a scientific paper or something, either. Take a deep breath, ready your typing fingers and take a look at these simple tips for blog writing success. First and foremost, you should never write any content without knowing first who the audience you’re writing it for is. The answer to the question of “who is my audience?” can be answered via first understanding your business. Take a look at your business’ purpose: if you craft and distribute hair care products for curly hair, then your demographic will be 18-40 year old females that can be of essentially any race. Look at your own business. What audience fits in best with what products and services you’re offering? So you’ve got the title and topic picked out. Time to focus on the introduction. Many writers think that the title of a work is enough to draw someone in and keep them there, but your introduction is even more important. A title can get someone to click on your content, but your first paragraph is what seals the deal on a potential customer either walking away or continuing on. Write the rest of the copy now. This you have a lot more leeway with, but do keep quality in mind. Also take into consideration ways to break up the text to make it more dynamic. You can do this via lists, quotes, bullets, creative paragraph blocking – anything that makes your content more eye-appealing for readers. Also remember that credible content is content readers will share. Insert inbound links and cite sources for optimum content success. Before you cap off your article, think about how it should end. A strong conclusion paragraph isn’t just something you tacked on to your essays in school. Instead of just including a summary of your thoughts, think about including a strong call to action that will help you generate leads. You’ve written a piece – congratulations! Now it’s time to edit your work and add in some last minute features. When you edit, make sure you don’t just focus on your typos and grammar. Cut out the fat and focus on the less valuable areas of content. Blog posts can also have a featured image, so consider finding free stock photography that is relevant to your content. There’s a lot of negative press placed around the term “click bait,” but don’t diss what works. While you do need to keep your content honest, it’s okay to give it a little pizzazz via some marketing tricks. Make your title more catchy, insert some SEO keywords to help your standings with Google. Speaking of SEO, remember the three key components to making it work: your meta description, anchor text and mobile optimization. Your meta description is a short sentence laced with keywords that will be seen in search engines – this is the most important part. Focus on this, then your anchor text and then mobile optimization. Most websites come pre-included with mobile optimization formats, so don’t worry about this too much. Now you’ve got great tips and tools you can use to start your own business blog. One last piece of advice? Don’t be afraid to stay informed. Constantly look for more tips and tricks for business writing, and make your own lane. Try out your own methods and see what works and what doesn’t’.